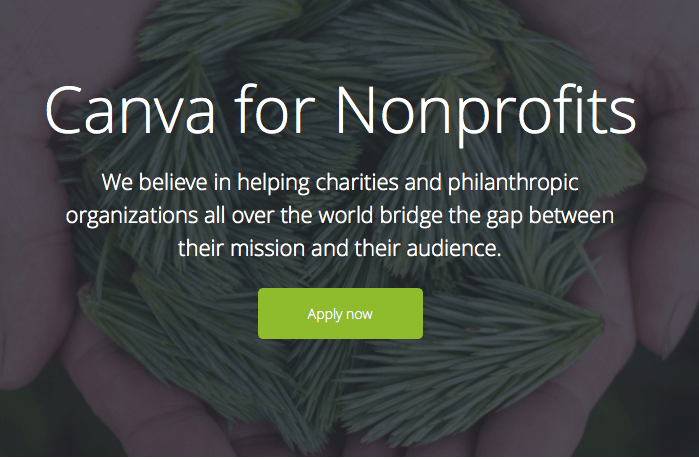 If you read nothing else on this post, you HAVE to sign up just for this section of Google for Nonprofits. Google Grants is an amazing program for nonprofits and churches that gives you $10,000 PER MONTH in FREE Google Adwords money! That's $120,000 PER YEAR. Although there are some extra guidelines you have to follow compared to normal adwords experience, but they are minor and the program as a whole is totally worth it. Having this grant is one of the most useful tools you'll have for digital marketing. Here's an article I wrote earlier this week that includes one of the many possible uses for Google grants to reach out to your community. Google Apps is Google's productivity office suite. It includes "Gmail, Docs, Calendar, and more". The benefit between this and a normal Google account is that you can have your church's domain name be the extension on all of your emails (example: yourname@yourchurch.com). This is normally a paid service that costs $5 per month per user, so this could be some amazing savings for a professional look and feel for your church. In addition to the basic office suite that Google offers, you can get their special youtube services for "premium branding", but more importantly, an increased upload capacity. This means that you can have your full services on Youtube! Yea! Amazon Smile is a program you might already be familiar with. Amazon has been donating .5% of all eligible transactions to nonprofits of their customer's choice for a wile now, so it's time to sign up. What happens is that you register your nonprofit with Amazon, give them your church's bank information, and then you'll receive quarterly deposits into your account (or yearly if the deposit amount was going to be less than $5). This is a great way to receive a little extra donations and it can be setup very quickly. The last of these 3 non profit resources fro churches is Paypal Charities. Paypal is a easy way to accept online donations/tithes. They're one of the top leaders in that field and are widely accepted. Normally, they charge 2.9% + .30 per transaction but as a nonprofit, you can have that lowered to 2.2% + .30 per transaction (as of the time of this post. Although it doesn't seem like very much (.7% savings), it takes little effort to get signed up, and it's by far the best deal you'll find in this field so I suggest you take it. You can also sign up through this program to be listed under their charities in hopes to gain additional donations. At Tech Soup (techsoup.org), you can sign up for an account and get your nonprofit heavily discounted software. They don't have everything you'll want to purchase, but they have many and can save you hundreds in software purchases. Even the free version of Canva is extremely useful - but the extra images you get with the free Nonprofit upgrade is awesome! It's essentially their business plan but you can't add as many users to your team. CLICK HERE to apply for the Nonprofit program. I hope this was helpful for you! Let me know if you're aware of any other great resources for non profits and churches!